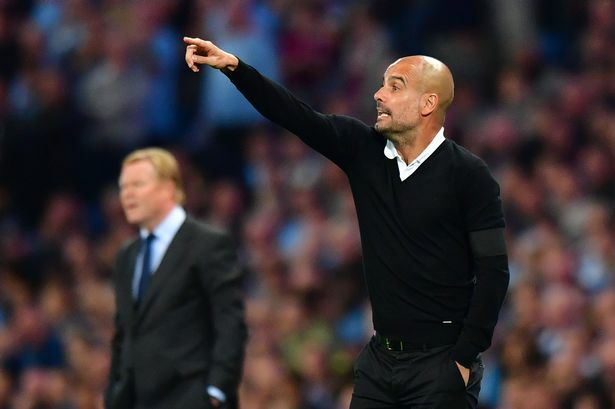 Manchester City Boss Pep Guardiola has made a plea to Premier League referees to start protecting Manchester City players. In City last match against Crystal Palace, De Bruyne left the field vis a stretcher after Puncheon tackle on him. Puncheon was also stretchered off and the City Boss has called for a renewed effort from the officials to protect players from dangerous tackles. Pep Said "Please referees, they have to protect players. We were lucky against Tottenham and against Newcastle." "Today we were not lucky. Referees have to protect. We know how strong physically it is in England but teams miss big players, not just Manchester City"
Pep Guardiola wasn't sure how bad De Bruyne injury was but he hopes that the injury doesn't keep him on the sideline too long.